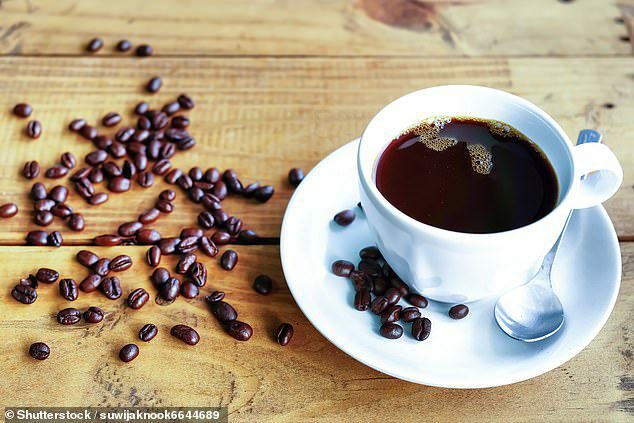 Researchers claim to drink one cup of coffee each morning could ward off dementia and Parkinson’s. Alzheimer’s develops when these proteins, beta-amyloid, and tau, clump together between neurons. Study lead Dr. Donald Weaver, co-director of the Krembil Brain Institute in Canada, said: ‘Coffee consumption does seem to have some correlation to a decreased risk of developing Alzheimer’s disease and Parkinson’s disease. Dr. Weaver, with his co-researchers Dr. Ross Mancini and Dr. Yanfei Wang, tested phenylindanes levels in light roast, dark roast, and decaffeinated dark roast coffees. Dr. Mancini added: ‘It’s the first time anybody’s investigated how phenylindanes interact with the proteins that are responsible for Alzheimer’s and Parkinson’s. The fact that it’s a natural compound versus synthetic is also a major advantage, said Dr. Weaver. Dr. Weaver added: ‘What this study does is take the epidemiological evidence and try to refine it and to demonstrate that there are indeed components within coffee that are beneficial to ward off cognitive decline.